The Mediterranean has nurtured three of the most dazzling civilisations of antiquity, witnessed the birth or growth of three of our greatest religions and links three of the world’s six continents. This work tells the story of the Middle Sea itself – a story that begins with the Phoenicians and the Pharaohs and ends with the Treaty of Versailles. Beginning with the island of Crete, Norwich charts the rise and fall of the Greco-Roman world; he seamlessly mirrors the decline of the Roman Empire in the west with the continuing splendor that was the Byzantine Empire in the east, and chronicles the rise of Islam culminating in the centuries long struggle for power in the middle sea. Much of the book focuses upon the efforts of the western powers to stem the tide of Islamic advance, the crusading movement is explored at length, and the failure of the Papacy and the west to adequately support the bulwark that was Constantinople is rightly condemned. Culminating in the disastrous conquest of the Byzantine capital in 1204, an event from which the Byzantine state never fully recovered, the ill-considered semi-religious desire of Christianity to reclaim the Holy Land is demonstrated to have been both self-defeating and pointless. 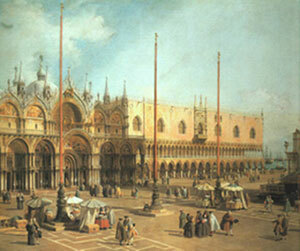 The rise of La Serenissima, the maritime empire of Venice is clearly a favoured topic, as is the cultural melting-pot of Sicily under Norman rule. It is in his description of the glories, follies and might-have-beens of these two unique entities the Norwich truly excels. One can sense his admiration, hope, and disappointment, and really touch the Kings, Queens and Doges he depicts. Even at its zenith, the Mediterranean was being supplanted as the centre of the world. When Columbus landed in the New World in 1492, he sounded the death knell for Mediterranean as the pre-eminent waterway of the world. From now on, trade routes gradually moved towards the Atlantic, and the eyes of the world moved hither also. Though not a backwater, the middle sea now witnessed a gradual decline in the relative strength of its inhabitants. The Italian maritime powers slowly sank into glorious decline, the Sublime Porte controlled the east by sea, and inched it’s armies forward by land. It would be pointless, and cruel, to recount the story to the present, as Norwich himself does it with greater skill than I can muster. 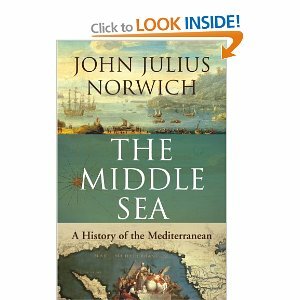 It requires tremendous knowledge and confidence to consider researching and writing such a book, but John Julius Norwich is as worthy as anyone to attempt a history so vast and complex as any history of the Mediterranean must be. Previously, he has written on the Byzantine and Venetian empires, as well as the short-lived Norman kingdom in Sicily and Southern Italy. More than this, he possesses the breadth of vision and simultaneous attention to detail that is required for the task of narrative history. Norwich has a knack for story-telling; he is ever enthusiastic, humourous and compassionate, he writes with colour and imagination he has style. Most importantly, he recognises the limits of his endeavour. His is a personal history, it focuses on those events, trends, and personages that appeal to the mind of the writer; it ignores much, and gives a passing nod to even more. Yet it acknowledges these flaws, if flaws they are. The parameters of geography and time always are problematic – it is impossible to discuss Mediterranean history with any confidence if one constantly drops threads once the physical boundaries of the sea are not visible. Policies in London, Paris, Madrid etc. are fundamentally relevent to events in the Mediterranean itself. Norwich is not troubled by this, and nor should he be. A history that includes even the most important events in recorded history from every angle would run to many volumes, and the personal touch would be lost. But thankfully Norwich never loses this touch. He enthralls and transports the reader to a time when the Mediterranean was much more than beaches full of irritating tourists, extravagant yachts, and monster cruise ships. Perhaps the Mediterranean of the mind is now more glorious and romantic than the reality, but if you can find a piece of untouched beauty, or unadulterated architecture somewhere along that long shore, bring this book with you, and read.